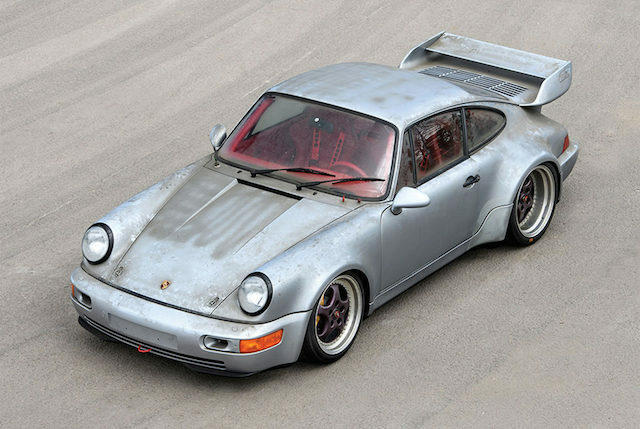 This rare Porsche 911 might look dirty, but only because it’s covered in the original Cosmoline, a rust protectant. 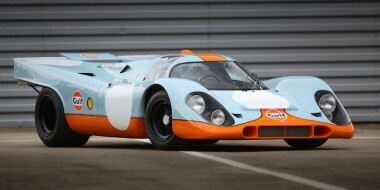 Another thing about it is that it was bought last century, driven 10km, and then locked up in a private garage. And that’s where this Type 964 Carrera RSR has been sitting untouched since 1993. 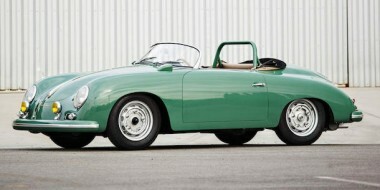 It is one of only 51 such models ever built and goes up for auction in Italy this Saturday, Expected price? Around NZ$3million. 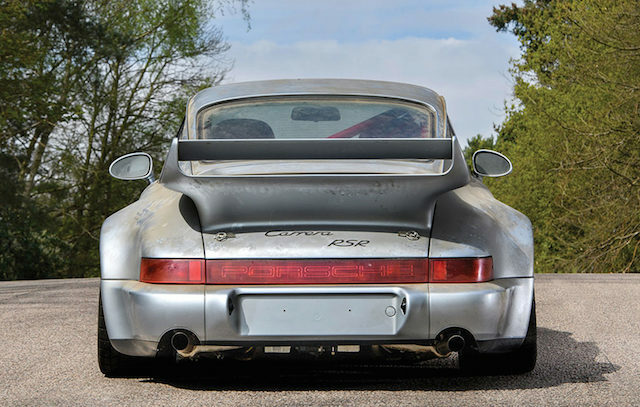 The RSR was the Turbo-bodied racing version of the Carrera RS. 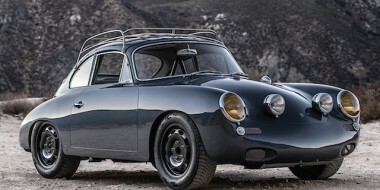 It was powered by a dry-sumped 3.8-litre flat-six engine, delivering between 260 and 280kW and around 380Nm of torque to the rear wheels via a five-speed manual transaxle. 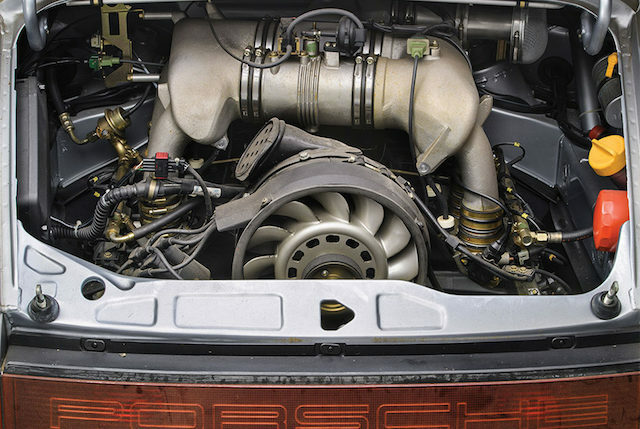 Officially, Porsche said the engine produced 350bhp (260kW), but independent reviewers, like America’s Car & Driver magazine, claimed Porsche was being typically conservative. A more realistic output, it said, was 375bhp (280kW). The magazine put an RSR up against a Ferrari F40 in a 0-100km/h sprint. 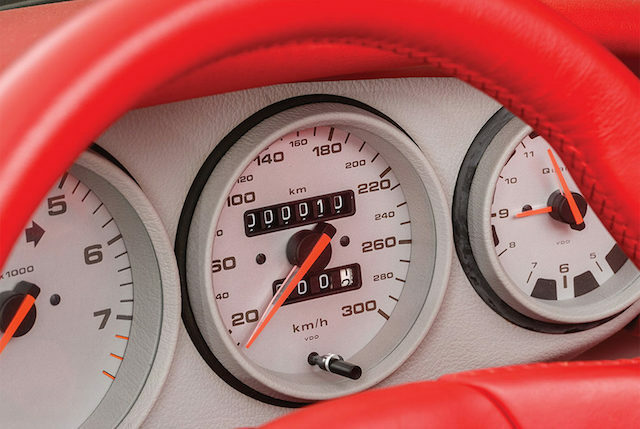 The F40 was timed at four seconds, the RSR at 3.7 seconds. The auction car is a bit more flashy than the regular RSR race cars, believed to be one of only two that came with a fully trimmed interior. It features Polar Silver Metallic paint and Guards Red leather seats, headliner, dashboard, steering wheel, door caps, roll cage, and six-point Schroth racing harnesses. The carpets are Can Can Red; the gauge instruments and door pulls are trimmed in “silver-gray leather.” Wheels are Amethyst Metallic in color; the big brakes are gold. • The RSR cars racked up race wins in Europe, Japan and the US. Among them the Spa 24 Hours, Suzuka 1000, Interlagos 24 Hours, a class victory at Le Mans, 1-4 class sweep at the Daytona 24 Hours, and another class victory at Sebring.